It's a bit uncomfortable to do when your title is interim editor (a permanent replacement is coming soon), but it is my pleasure to introduce two new regular contributors to Wings magazine. One of the great things that I have noticed since working on this publication is the tremendous engagement the readers have with our magazine and the intense interest in the content that appears in these pages. Because of this, I had two amazingly qualified writers drop right into my lap over the past month. I know both of these new columnists will keep you informed and entertained for many issues to come. This includes Tim Anderson (pictured right), owner of Anderson Aviation Services in Huron Park, Ont. (which some of us old-timers remember as Centralia). 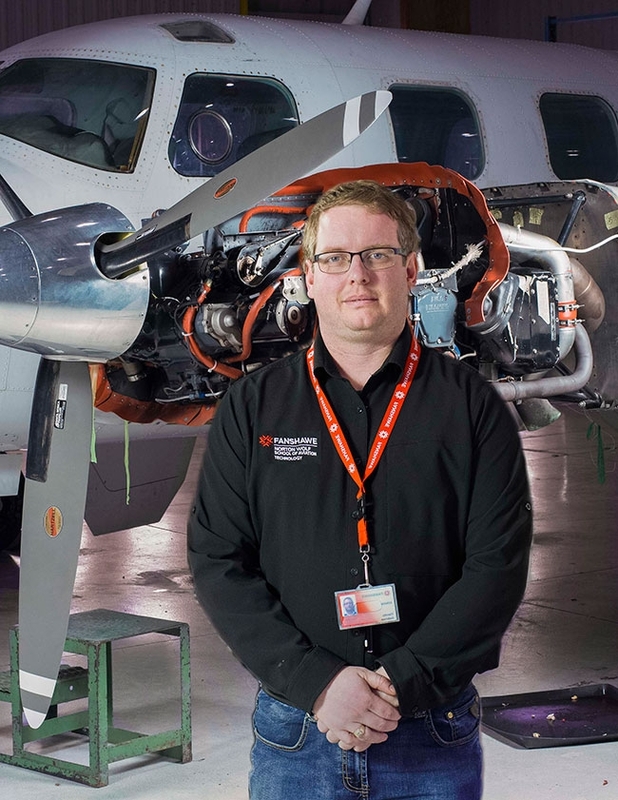 In addition to running his very own service company offering maintenance, parts and aircraft sales, Tim is a professor at the Fanshawe Norton Wolf School of Aviation, where he teaches maintenance and avionics. It’s great to have someone with an academic background, and all of the knowledge that it implies, who is also a business owner in the industry and can bring that perspective to bear. Prior to starting Anderson Aviation in 2011, Tim spent more than 10 years working throughout Canada and internationally on a wide variety of aircraft from 65hp Cubs to large airliners. His experience includes working throughout North America, South America, Africa, Europe and Antarctica – both the North and South Poles. Tim also spent time with Kenn Borek Air and Buffalo Airways, among other operators at home and abroad. Along with these achievements, Tim is a commercial, multi IFR pilot and carries a M1/M2 Aircraft Maintenance Engineer license. To top it off, Tim also has experience writing for other industry publications. His regular column, Position Report, will discuss all manner of issues surrounding the aircraft service business and give us all some insight from the ground up. Kendra Kincade initially reached out to Wings to talk about Elevate Aviation, the not-for-profit organization she runs to promote the participation of women in aviation. Kendra is an air traffic controller with a passion for helping others – she’s climbed Mount Kilimanjaro to raise money for a local hospital and started another not-for-profit called Changing Stories that built schools and playgrounds in disadvantaged places around the world. Through Elevate, she is working to bring young women into the business of aviation, encouraging them to consider careers and helping them to achieve those dreams. Elevate proactively brings aviation awareness to women across Canada through cross-country tours, which are held in early March. These tours started with about 12 young women attending an event in Edmonton. Now, the Elevate tours take place in nine cites across Canada, with a goal of reaching 18 cities next year. You can read all about Elevate in Kendra’s inaugural Women In Aviation column in this issue. In addition to these cross-country tours, Evevate is also developing a direct mentorship program and bringing aspiring women into the workplace for a personal tour. Kendra has collected some amazing inspirational stories of women who have achieved great successes in aviation and plans to share them with us in each issue. Wings has tried to run Women in Aviation as a regular column for some time, but often struggled to find content. How lucky for me, and us, that Kendra popped up to tell these wonderful stories. We certainly anticipate seeing lots of women at our upcoming Careers in Aviation Expos being held in Toronto, April 28, and Edmonton, May 12, 2018. As usual, we’ll be featuring a strong lineup of industry experts, as well as mentor tables, introducing young people to all aspects of commercial and general aviation, AEM, airport operations, flight services, dispatch and even airport fire fighting and security. Tim was scheduled to give one of the presentations in Toronto, while Kendra was preparing to present in Edmonton, where she founded Elevate Aviation. We would like to thank our generous partners Aurora Jet Partners, providing our Edmonton location, and Jazz, providing our Toronto location, as well as Platinum sponsor Levaero Aviation. We’ve taken some steps to streamline the day for the 2018 Expos. Speaker presentations will be only 20 minutes, leaving more time for questions, mentoring and to visit the exhibitor displays. Leading Edge: A recruiting job half done?